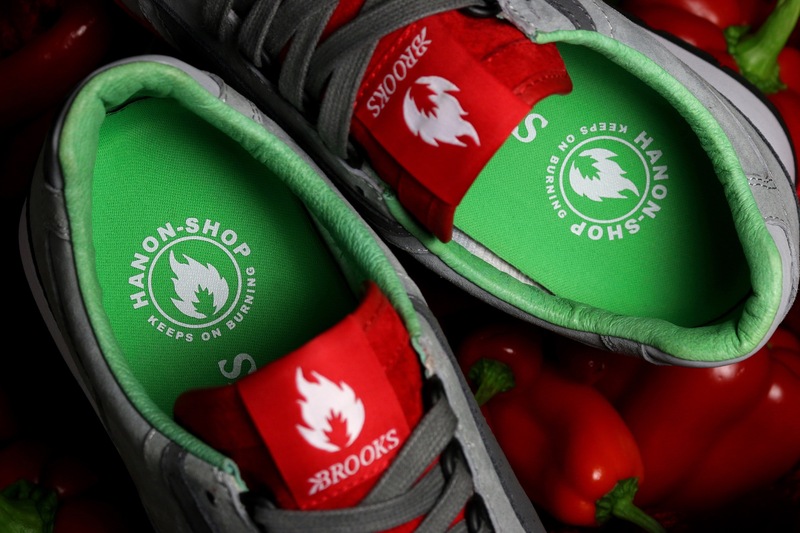 It’s 2015, a new year, and already the collaborations are coming thick and fast, and back with a bang are the good people of hanon shop who have linked up with US running brand Brooks on their Chariot running shoe to produce the ‘Scotch Bonnet’. 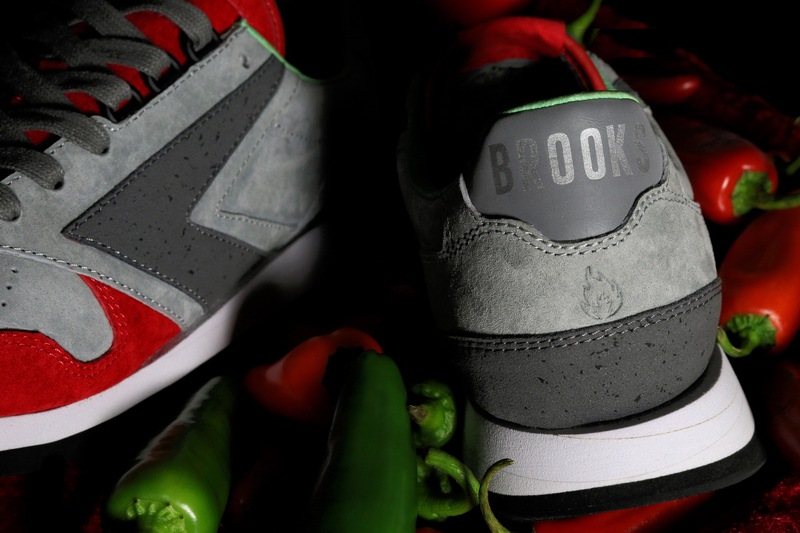 You might only be familiar with Brooks if you’re a little bit older, or if you have used any of their performance running shoes, however, the Chariot, a shoe first launched in 1982 and designed as a technical runner seems to be coming back strong. 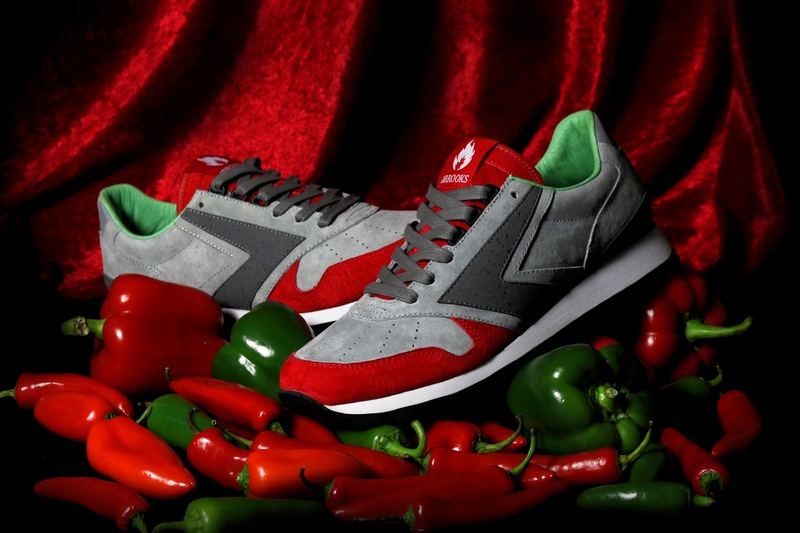 The Chariot was designed with a premium upper of suedes, nylon and performance mesh, but it wasn’t shy on the performance front, as it was built for stability with cushioning in mind. 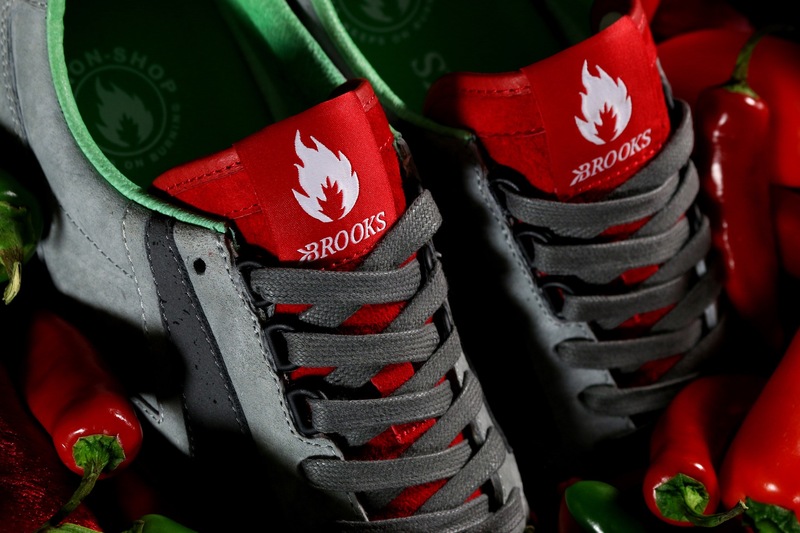 The shoe incorporates a 3 part EVA sole unit with Brooks’ diagonal roll bar system (DRB), which is a technology that has been designed to withstand the rigour of continuous training. 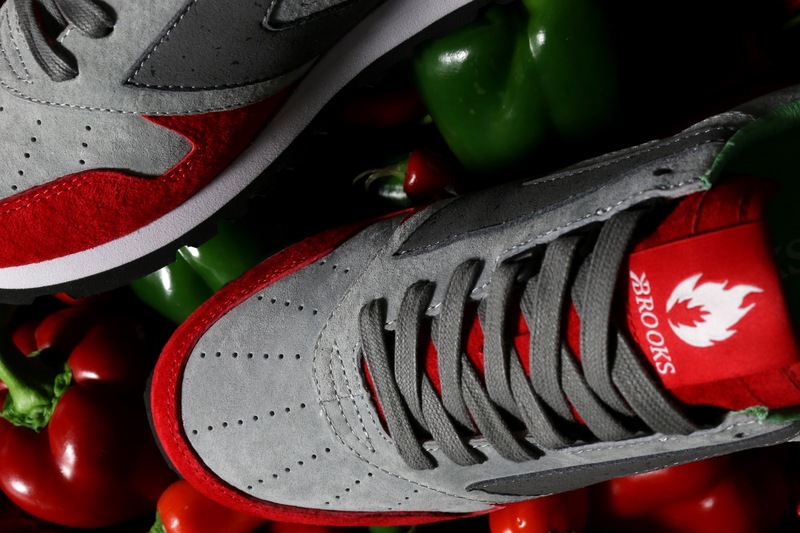 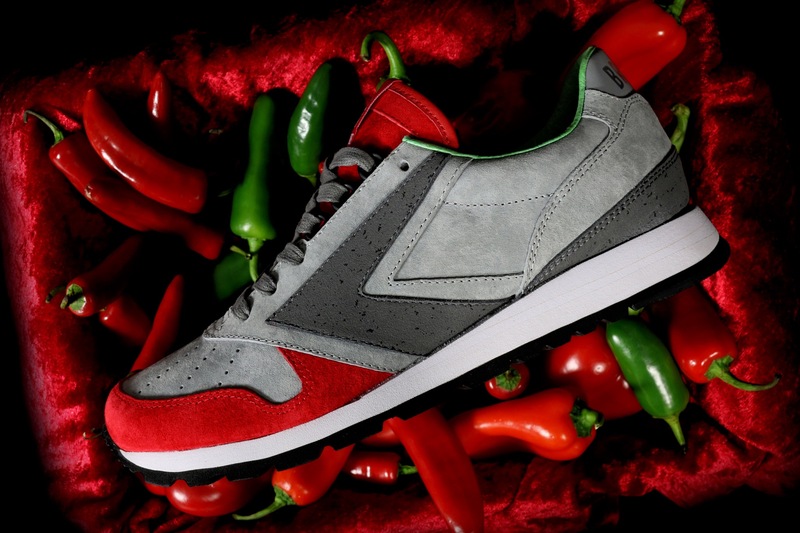 hanon shop have became renowned for their love of their Scottish roots and continually try to let this filter through to their collaborative efforts, and this particular pair pays homage their hometown of Aberdeen, and also the ‘Scotch Bonnet’ chilli – named after the iconic Tam O’ Shanter hat. 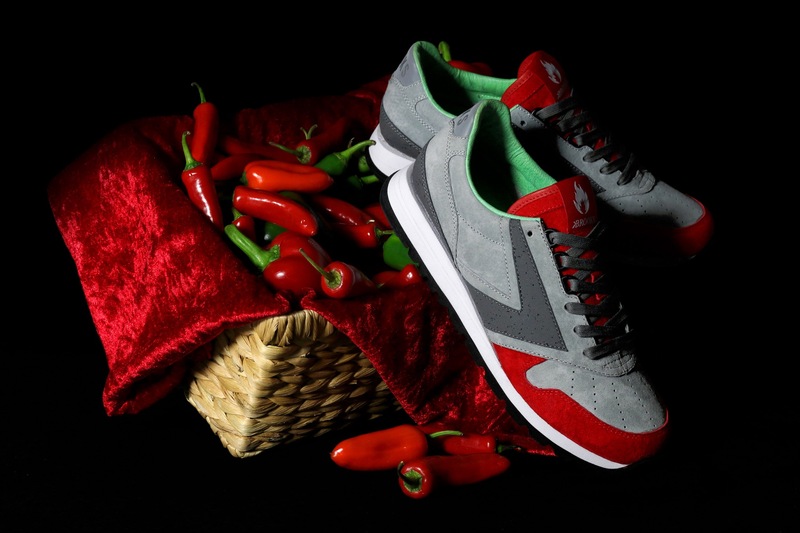 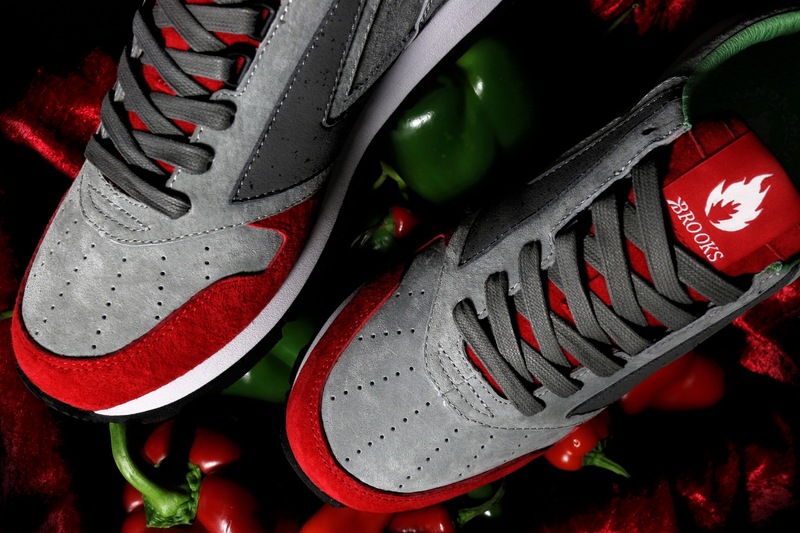 Aberdeen is nicknamed the ‘Granite City’, and to reflect the granite grey of Aberdeen, the shoe is specced up and executed in super rich pig suede, whilst fiery red accents appear by the way of the contrasting tongue and toe overlay. 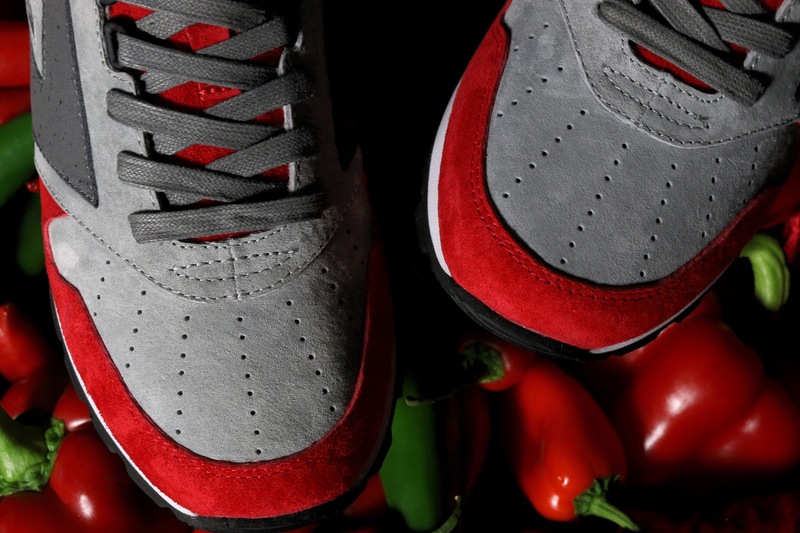 A rich green glove leather collar lining completes the shoe. 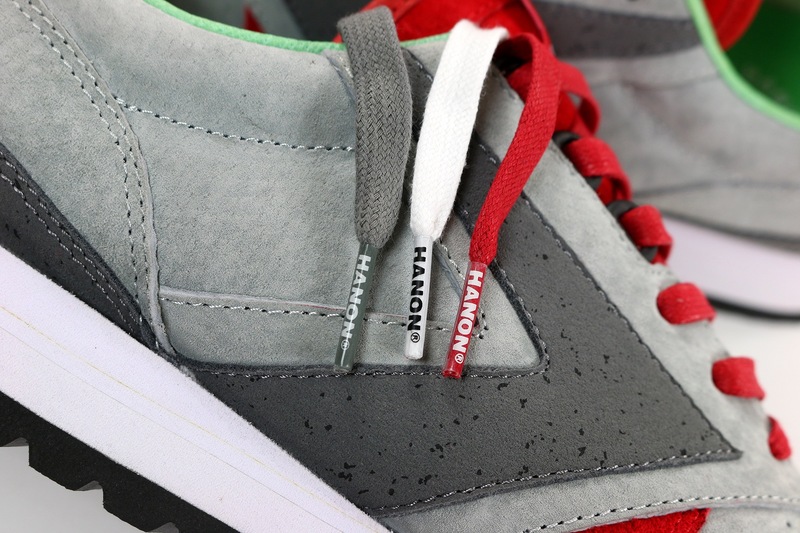 I say it time and time again, but hanon shop are one for their details, and this time attention of detail appears in the way of granite flecks on the side stripe and heel counter, a dual branded woven tongue label and footbed, a switched out vamp from mesh to a sunburst perforated suede and of course, a full 3M reflective backtab. 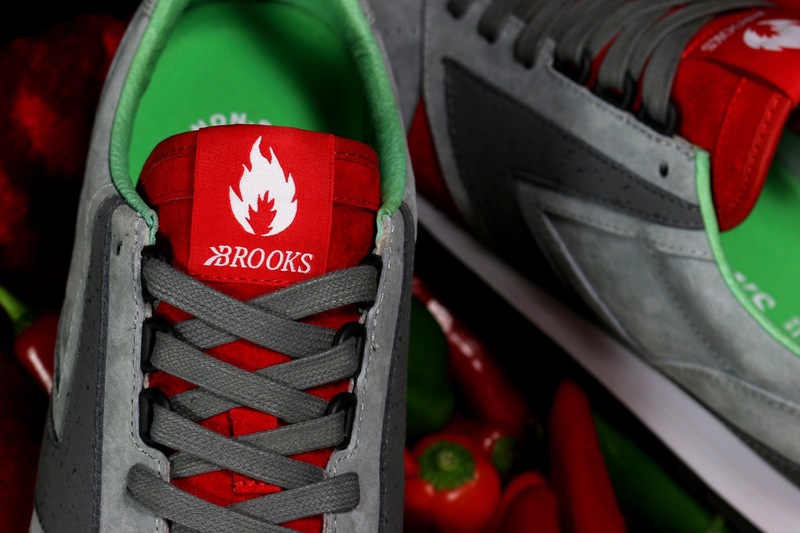 But that’s not all, as has been so prevalent on hanon shop collabs of late, they have their flame logo embossed on each heel. 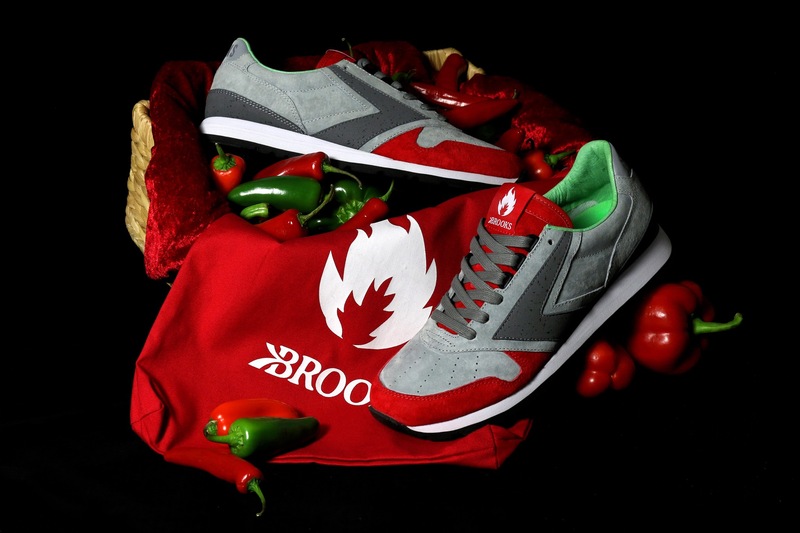 The hanon x Brooks Chariot ‘Scotch Bonnet’ is released on Saturday 7th February 2015, and each pair will come complete with 3 contrasting sets of laces, a custom made dust bag and bespoke tissue paper.